Managing Money (www.managing-money.org) is a financial literacy clearinghouse featuring Consumer Action’s award-winning multilingual educational materials, headline news on personal finance topics and recommended publications created by other organizations and government agencies. The materials focus on financial services, sound financial planning and debt management, saving for emergencies and retirement and how to avoid frauds and scams. It’s America Saves Week: Get on board! Sign our petition: Preserve Lifeline for ALL in-need households! April 22, 2019 Why aren't more people tapping into their home equity? 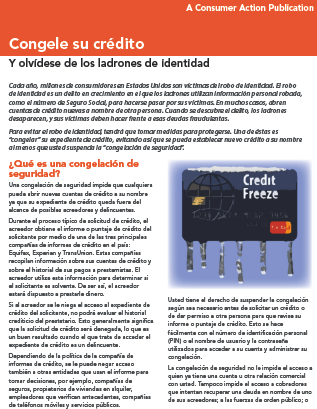 Freeze Your Credit File (Spanish) Leave ID thieves out in the cold. El “congelamiento de seguridad” es una herramienta para ayudarle a prevenir el robo de identidad y evitar que impostores utilicen su información personal para establecer crédito. Esta publicación explica cómo “congelar” su crédito, lo cual previene que se establezca crédito nuevo a nombre suyo hasta que usted suspenda provisionalmente el congelamiento o le retire de forma permanente. 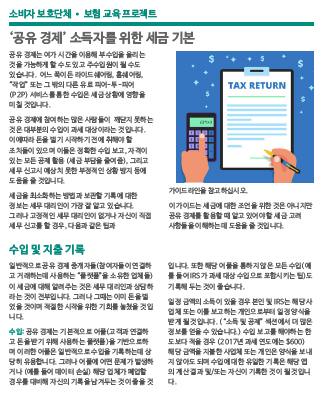 Tax basics for earners in the ‘sharing economy’ (Korean). 공유 경제는 여가 시간을 이용해 부수입을 올리는 것을 가능하게 할 수도 있고 주 수입원이 될 수도 있습니다. 어떤 쪽이든 돈을 버는 것은 세무 상황에 영향을 줄 것입니다. 이 안내서는 세무 조언을 위한 것은 아니지만 수입과 비용을 정확하게 보고하는 방법, 자격이 있는 모든 공제를 활용하는 것이 좋은 이유, 예상치 못한 문제를 피하는 방법, 그리고 추가 정보와 도움을 얻을 수 있는 곳 등에 대해 설명하고 있습니다. The sharing economy might enable you to put a little extra cash in your pockets in your spare time, or it could be your primary source of income. Either way, earning money will have an impact on your tax situation. This publication, while not tax advice, will help you understand how to report your income and expenses accurately, why you should take advantage of all the deductions you’re entitled to, how to avoid an unpleasant surprise when you file your tax return, and where to get more information and assistance. Get Credit for Your Hard Work (2018 Tax Year) Low-income working taxpayers may qualify for the federal EITC. The Earned Income Tax Credit (EITC) helps low-income working taxpayers and families get more money back when they file their federal income tax return. This publication contains EITC guidelines for the 2018 tax year. 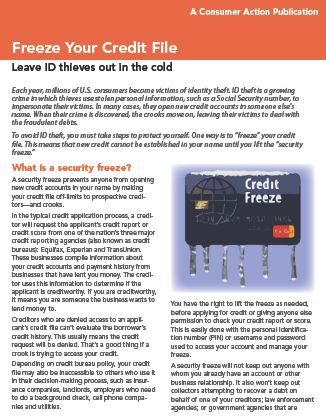 Freeze Your Credit File Leave ID thieves out in the cold. Security Freeze Backgrounder Questions and Answers About Placing, Lifting and Removing a Credit Report Security Freeze. Mortgage loan relief for disaster victims. The National Consumer Law Center (NCLC) has produced a guide to assist those helping homeowners struggling after a hurricane, flood, fire or other natural disaster. Spanish-English glossary of real estate terms. A new Spanish-English glossary of commonly used real estate terms has been released to help real estate agents and brokers make the home buying process more manageable for consumers who seek to better understand the complexities of a mortgage transaction in Spanish. The glossary offers both formal and colloquial translations of key mortgage terms. 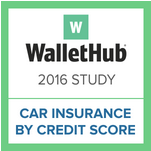 2016 Car Insurance & Credit Scores Report by WalletHub. The WalletHub study gives us information on the connection between credit scores and car insurance. CFPB Monthly Complaint Report: Credit Reporting Issues. Complaint reports from the Consumer Financial Protection Bureau (CFPB) focus on a different issue each month providing a snapshot of complaint trends by type, state and company, and highlight actual complaints reported by consumers. California Lifeline carrier search tool. The California Public Utility Commission (CPUC) has a multilingual tool that enables consumers to search for California LifeLine service providers.